BasicGrey Chip Albums - Check them out! Welcome to our Backyard Blast Blog Hop! Backyard Blast.....and YOU are invited! Friday Challenge 51 - Happy Birthday! 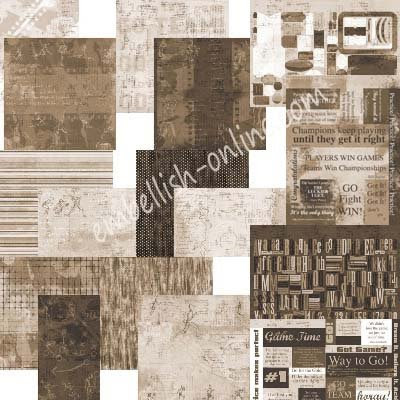 New American Crafts Thicker Styles - IN STORE! BasicGrey Lemonade Collection - IN STORE! 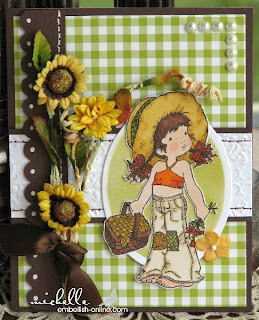 Spotlight on Guest Designer: Latisha Yoast! Friday Challenge 50 - Wildflowers not Weeds! BasicGrey June Bug Collection - IN STORE! Details: Summer is coming to an end & school's about to begin. Create a layout, mini or frame to display some of your summer memories with your loved ones. PLEASE USE KEYWORD FC53 (NO SPACES BETWEEN) WHEN YOU UPLOAD YOUR PROJECTS TO THE GALLERY SO WE CAN ALL SEE YOUR BEAUTIFUL WORK. 6x6 album includes 3 tabbed chipboard pages, 1 chip back cover, 6 interior chip pages, grommet-reinforced holes on cover and 4 silver-plated key rings. 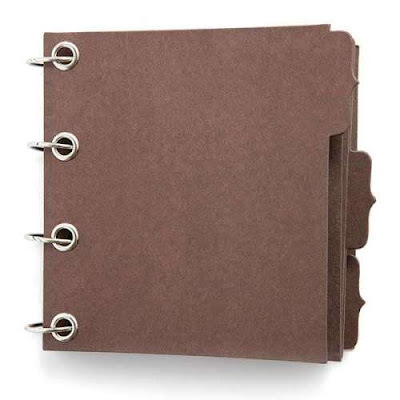 All chocolate chip album pages are interchangeable; mix and match styles and colors to create your own unique albums. REMINDER! You still have time to join in the Backyard Blast Blog Hop fun! All the info you need is right HERE. Participate and share your work with us and you could win a beautiful Backyard Prize Package....you don't want to miss your chance! 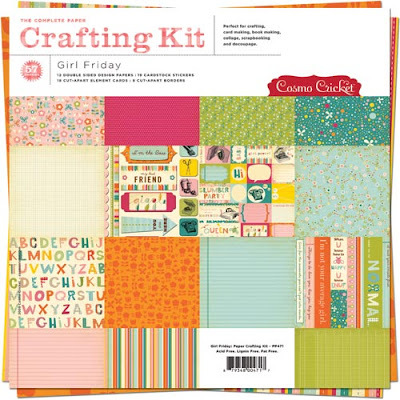 Cosmo Cricket ~ Girl Friday Crafting Kit ~ NOW IN STORE! .....don't forget.....we've invited YOU to play along with our July Backyard Blast Blog Hop Challenge.....check out all the info HERE. 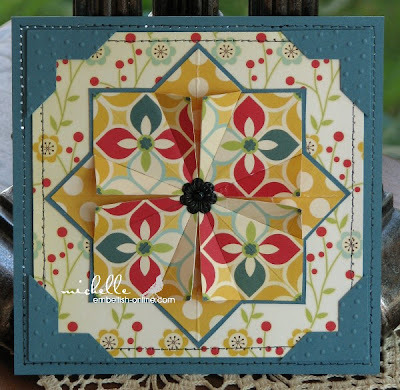 There is a beautimous prize package of American Crafts Backyard Collection papers and goodies......come join the fun! .....AND.....play our Friday Challenge, info HERE...I'm offering up some goodies to a participant in the challenge....it's a pretty little pile! Rusty Pickle ~ Game Time Sports Collection ~ IN STORE! Just a reminder.....we've got an awesome prize package waiting for a lucky participant in our Backyard Blast Blog Hop Contest! We want to see your interpretation of Christine's sketch! Upload your creation to our gallery for a chance to win! Read all about it here! Also, make your own sale any day of the year....use keyword GLITTER in the voucher box at checkout and you will receive 20% off of your ENTIRE order, including SALE ITEMS! Who can't use a double sale these days?! 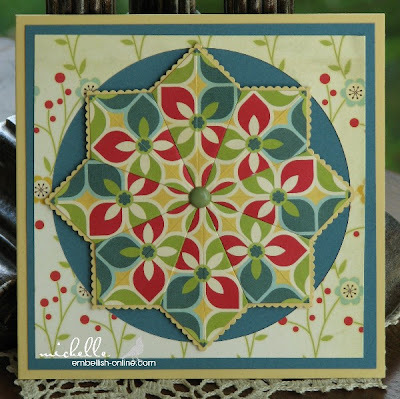 Welcome to the final day of our Backyard Blast Blog Hop! We are challenging YOU to join us this time around! Check out this thread for the sketch, and then follow the directions....and you could be the winner of a beautiful prize package! Thanks for hopping along with us.....and GOOD LUCK! 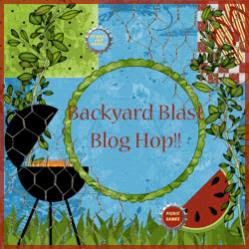 Welcome to Day2 of our Backyard Blast Blog Hop! ....and remember, you are invited to join in on the fun! Upload your sketch project to our gallery and post so you qualify for the prize drawing! Check out all of the details HERE. I don't think I mentioned it here on the blog yesterday.....but this is all of the fun goodies you will receive: One lucky winner will receive a complete collection of papers from the American Crafts Backyard collection (24 sheets) and some fun extra stuff too! Design team member Christine has provided us with this awesome sketch.....and we're using it for our inspiration this month. Our theme: Think backyard gardens and BBQ's, pool parties, picnics, camping, trees ....anything outdoors and summery! The hop starts HERE.....and so does your fun! 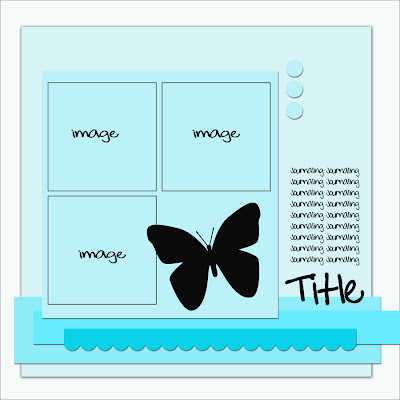 ~This month we are challenging each of YOU to come up with a card or layout using Christine's sketch. For cards you may omit the journalling, or not! For either a card or layout you may substitute another large object for the butterfly...just show us your stuff! ~You'll need to upload your sketch project to our gallery here and use keyword BLOGHOP1 so we are sure to find your creation. ...and you'll want us to, because there is an awesome prize package on the line here! 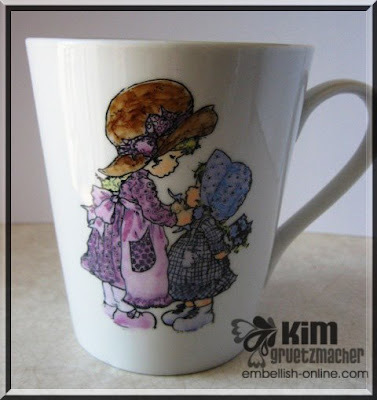 When you upload your image, you'll want to select the July Blog Hop Gallery from the drop down. ~Please post your entry in this thread with a link to your gallery image (you'll need to register for the forum, it's free! ), and that's all there is to it! The Design Team will vote for a winner in 10 days, so you'll have plenty of time to get your project finished. 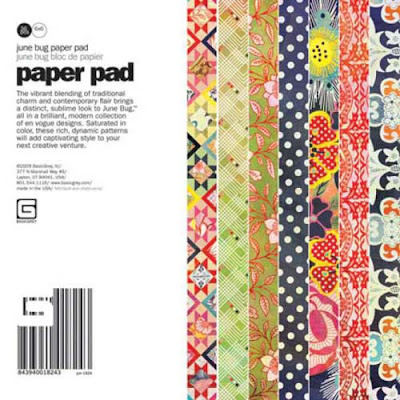 One lucky winner will receive a complete collection of papers from the American Crafts Backyard collection (24 sheets) and some fun extra stuff too! We're having a Backyard Blast Blog Hop....and you're invited! We hope you join us for the fun and games we have planned! WHERE: You'll start right here and we'll head you off on your first game! We'll give you the design team members blogs so you can join in the fun! PLEASE BRING: ....your creativity! We've got some fun planned for YOU! To peek at some of the fun, check out the snippets below!! Welcome to Friday Challenge 51....just a few days late! Our hostess this week was Julie, and her challenge was a Happy Birthday card. 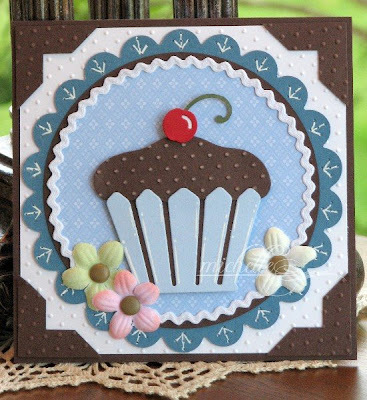 The details: Let's create a birthday card for someone special....just make sure it has a cupcake on it! We'd love to see your birthday cards featuring cupcakes in our gallery! If you can play along, please use keyword FC51 in our gallery! 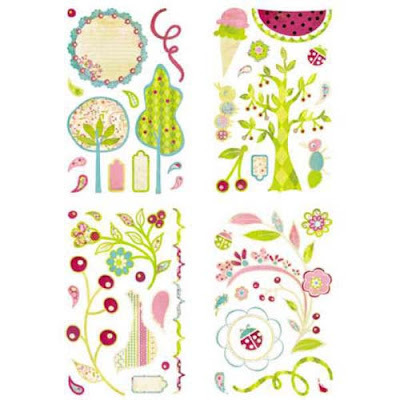 Pack includes 4 printed, die-cut transparencies with matching die-cut cardstock journaling blocks. Check out this beauty that It-Girl Kim added to the gallery today! Like a cool dip in the pool on a hot, summer day, Lemonade is a refreshing collection of sun-kissed patterns, all in a color-drenched palette of tropical delight. For your next artistic endeavor, chill out with a cool glass of Lemonade to quench your creativity. We are so pleased to have Latisha Yoast with us in July as a Guest Designer! 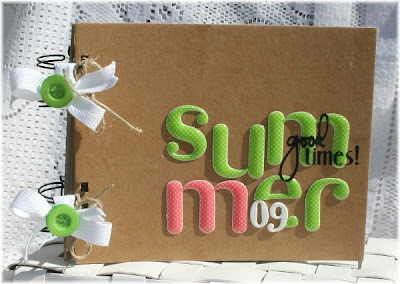 I asked her a few questions and we're featuring on of her beautiful cards today as inspiration! 1. Describe your style in 5 words or less. 3. Where do you find inspiration?! ~I know my style and only buy things that I love, so finding inspiration from fashion, magazines or pictures makes it easy to put that into a card or lay out. 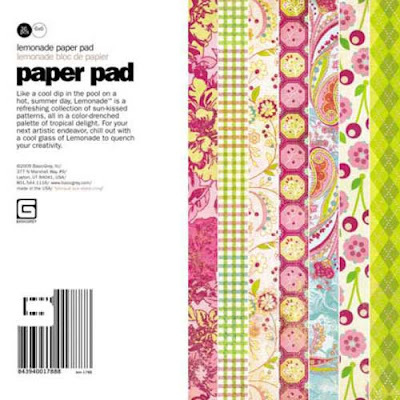 For instance the Early Bird line from Cosmo Cricket has me going bonkers, its such a fun paper line and I have ideas just swarming around, I love when a product can do that. 4. Do you start with your design elements and see where you end up...or do you sketch your work out first?! 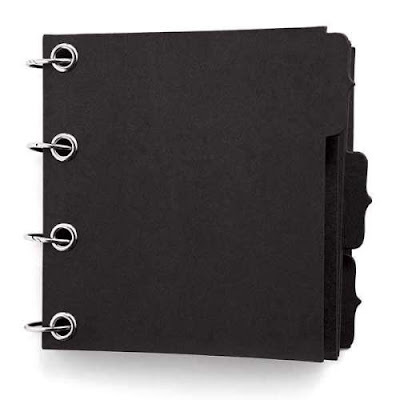 ~I will look at my stuff and kind of have a game plan before I start, I waste less paper that way. I will find an image to color in, have some ideas of my color scheme then work from there. Or I will match my coloring to a paper I want to use. 5. What is your favorite technique?! ~I really enjoy coloring with Copic markers, is that a techinique lol. I love tying bows (not knots) it has taken a long time to learn to tie one. 6. What is your greatest dream?! ~My biggest dream....Well, I have an auto-immune disease called Crohn's Disease (there is no cure). So my biggest dream is to live a long and happy life, where I get to see my children grow up, graduate college, get married and enjoy my grand children, that would be perfection and make my life complete. My biggest dream as a designer, is to continually get better, maybe one day have my own store or line of stamps, that would be pretty cool! Be sure to check out Latisha's gallery and blog for more inspiration! Today is my challenge.....and I'm a flower-lover, be they paper or real! The challenge: Let's look at flowers and not the weeds. 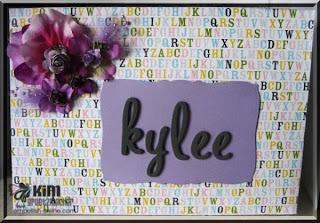 This week make a flower the FOCUS of your card, layout or project. For these cards I used Cosmo Cricket's Early Bird Crafting Kit and Basic Grey's Brads. If you can play along, we'd love to see your flower creations! Check out the details *here*. Use the code GLITTER in the voucher box at checkout to save 20% off your entire purchase every day of the year!!!!!!! 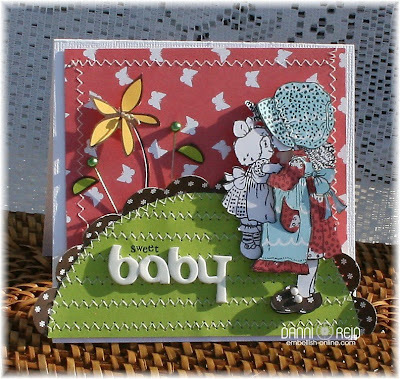 Check out all of the gorgeous texture and detail on this card I found in our gallery by Danni! Happy Tuesday! Here is your inspiration photo from Cindy! 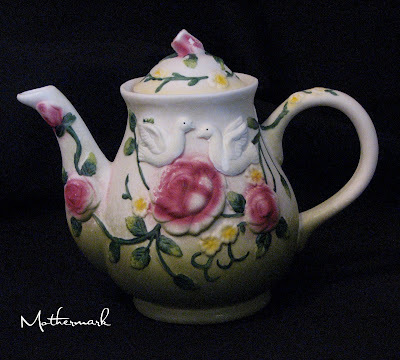 Such gorgeous details on the teapot....let's see what you come up with for a card, using this piece as your inspiration! You can read Cindy's story and see her card HERE. Use keyword TPT52 in the gallery if you upload a card! The vibrant blending of traditional and contemporary flair brings a distinct, sublime look to June Bug, all in a brilliant, modern collection of en vogue designs. Saturated in color, these rich, dynamic patterns will add capivating style to your next creative venture! 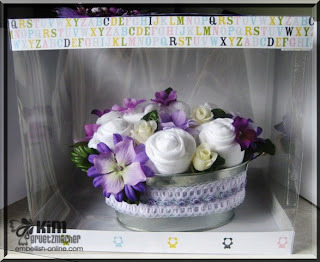 Check out these gorgeous flowers from Prima! 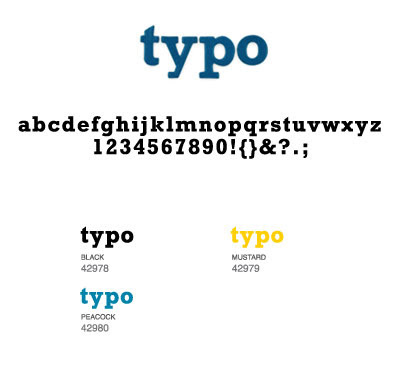 They add so much dimenison to your project! Lookie what I found in the gallery! What an adorable gift to give to a mom-to-be.....an onesie basket!